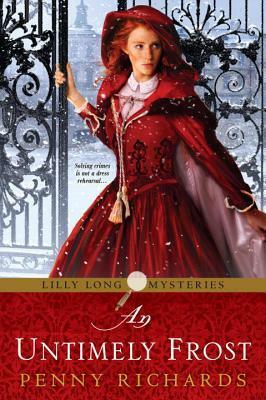 Let me start this review off with just how much I love Lilly Long, She is a perfect example of a plucky heroine. She has her fears and her doubts that she will be able to do her job as a detective but she never gives up. It is because of women like her that we have female detectives and involved in law enforcement. For Lilly's first job with the Pinkerton Detective Agency should be simple. Just find the Parnell family as there is a buyer for a home that they haven't lived in for years. Things just didn't add up however especially the way that none of the townsfolk wanted to talk about the Parnells and how they left in a hurry. There is also the fact that Lilly had received a threatening letter slipped under her door and that there is a boxer that seems to be following her around. Lilly is not quite sure what she has stumbled into but she is extremely curious and wants to find the answer. I just adored this book and it was one that I finished in one sitting because I couldn't bear to put it aside. I regretted when it ended and can hardly wait for the next book to come out in 2017 THOUGHT THIS BE MADNESS. I highly recommend AN UNTIMELY FROST to any of my readers who enjoy either historical mysteries. The pacing is beautiful, the dialogue witty and the characters so realistic that this book is a joy to read.